Iran has the world’s greatest floating crude oil storage which amounts to over 35 million barrels. According to a report by Fars, as translated by IFP, global ship tracking data indicate that Iran has berthed 43 tankers at 4 ports which totally store over 35.4 million barrels of crude oil and gas condensate, the biggest floating inventory in the world. 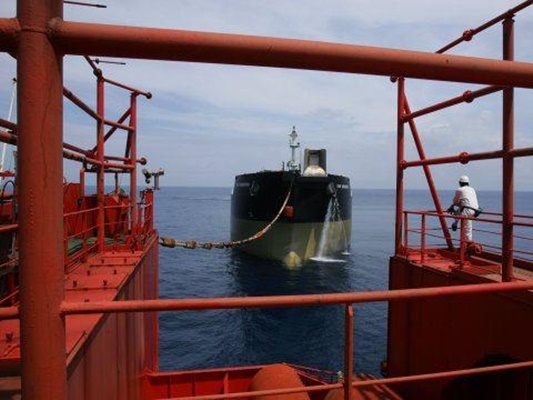 The stored commodities have taken only 65% of the tanker’s storage capacity, which means the country can pile up more oil barrels in case it needs to. Floating oil storage is an indication of the fact that the crude cargoes are lining up to be sold and have no customers so far. However, Managing Director of National Iranian Oil Company (NIOC) Ali Kardor said on Monday that Iran’s crude oil output has neared 4 million barrels a day, adding the country is currently exporting over 2.4 million barrels per day.